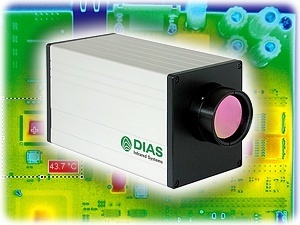 DIAS infrared thermal imaging cameras are specially designed for long term use in fixed-mount applications. The DIAS PYROVIEW range provides non-contact temperature measurements, from -20°C to 2500°C, of two-dimensional temperature distributions with high thermal and spatial resolution. 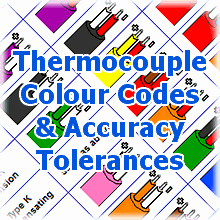 For general infrared temperature measurements the spectral ranges from 8 μm to 14 μm and 3 μm to 5 μm are available. The spectral range 4.8 μm to 5.2 μm is particularly suitable for the measurement of temperature distributions in glass. The spectral range around 3.9 μm is suitable for measurements through flames and flue gas. High temperatures can be measured at 0.8 μm to 1.1 μm, for metal and special applications. With real-time data acquisition via a Fast Ethernet or Gigabit-Ethernet computer network images can be transferred to a remote computer at a frequency of up to 50 frames per second. Stand-alone operation without computer is also possible. Alarm and threshold monitoring as well as triggered measurements can be set up. A range of different lenses are available for different applications and fields of view. The cameras are housed in an aluminium or a stainless steel compact casing, with options of more robust IP65 rated or ATEX approved housings. Accessories and DIAS PyroSoft computer software for configuration, analysis and recording are also available. TMS Europe can provide UKAS calibration of the centre spot of these cameras, from -20 to 1500°C. Typical applications of include process control and monitoring, quality control, fire detection and measurements in research and development. For universal industrial and laboratory applications, surveillance and fire detection. Applications include process control and monitoring, quality control, fire detection and measurements in research and development.